What can we say about the Mercedes SL Class that would do it justice? Sleek. Elegant. Refined. Peerless. Luxurious. Put simply the SL Class embodies joy on wheels – the very best Mercedes Benz has to offer, and they offer a lot. 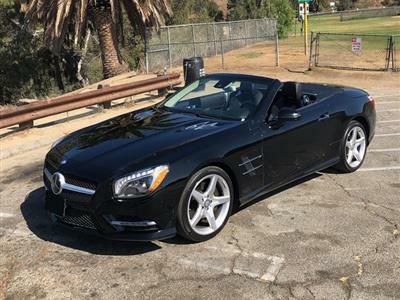 Swapalease.com has Mercedes SL Class lease deals available on our online lease-trading marketplace, and our Mercedes SL Class lease specials make this very top-of-the-line automobile (with list prices starting in the six figures) more affordable than buying. If you don’t see what you’re looking for, let us know so the Swapalease.com customer service team can contact you when the car you want is available. One of the most recognizable vehicles in history, the Mercedes SL Class truly sets the standard for the grand touring coupe/roadster niche. With cutting edge technology and luxury touches too many to list, the SL Class currently comes in three models: the SL550, the SL63 and the SL65AMG. A retractable hardtop convertible, its safety features are also unparalleled. A panoramic glass portion of the roof allows you view of the outdoors even when the weather won’t allow the top down, and optional “Magic Sky Control” makes the glass transform to various degrees of tint. If your tastes are discriminating and you want the very best of the best, the Mercedes SL Class is for you.